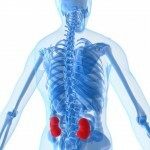 In most cases people only develop signs of kidney cancer during the mid-to-late stages of the disease. You should see your doctor if you have these symptoms. As these symptoms normally only appear in the later stages of kidney cancer, if you have BHD it is important to have regular scans to monitor your kidneys so any tumours are found before these symptoms develop.